Pune is strategically placed on the western side of the Deccan Plateau and lies on the foothills of the magnificent Sahyadri ranges. 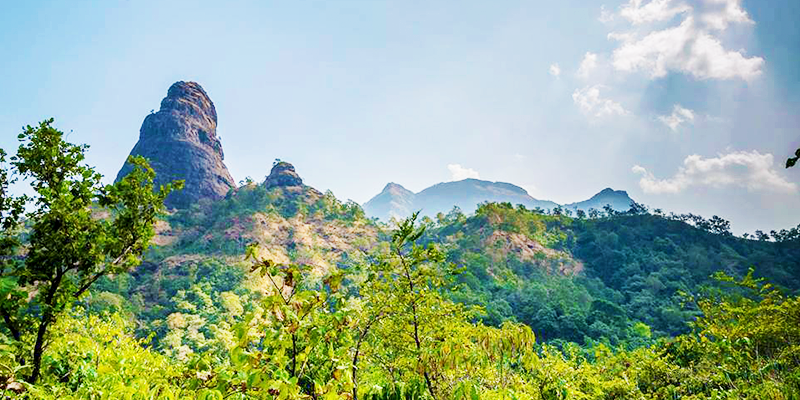 These ranges, form the northern part of the Western Ghats. Well known for its rich wealth of flora,fauna and mountain tops, these ranges double up as awesome trekking locations and are known to be one among the eight best hotspots for biological diversity in the world. Trekking in the Sahyadris is both mesmerising and delightful. The mighty mountains, historic forts and pinnacles make the trek even more endearing for trekkers of all levels. These treks are not just a walk up the mountain, but a close encounter with Mother Nature and a glimpse through the history and culture of the region. 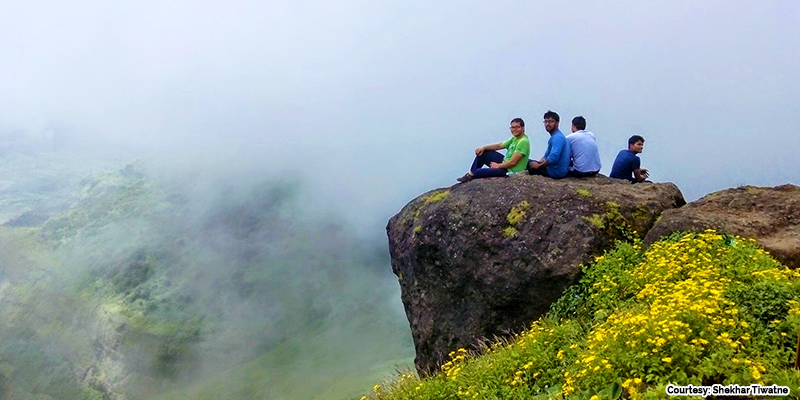 Kalsubai peak is the highest peak of Sahyadris and located in Ahmednagar. At the peak, there is a flat land which houses the temple of the local deity, Kalsubai. Kalsubai Temple is grandly decorated with lights during Navratri with fairs being held in the adjacent ground. The deity attracts a lot of devotees as well as trekkers. There are many routes to reach the summit, however the main route begins from Bari village. The easiest way to get there is to reach Igatpuri, which is located on the Mumbai- Nashik route. This trail is commonly known as the Katraj-Sinhagad trek. Most trekkers start ascent from one side of the hillock and descent from the other side. The Potato (Chilimkhada) Point is the most visited point in this trail. The point stands on a small rock at the top of a ridge. However, a visit to this point is not recommended during the monsoons, owing to the loose soil which makes the path slippery. While trekkers frequent this place, it is still not very well known and hence you have to make sure to carry all your supplies. The Tikona Fort (or Vitandgad Fort) is a favourite route for new and old trekkers alike. 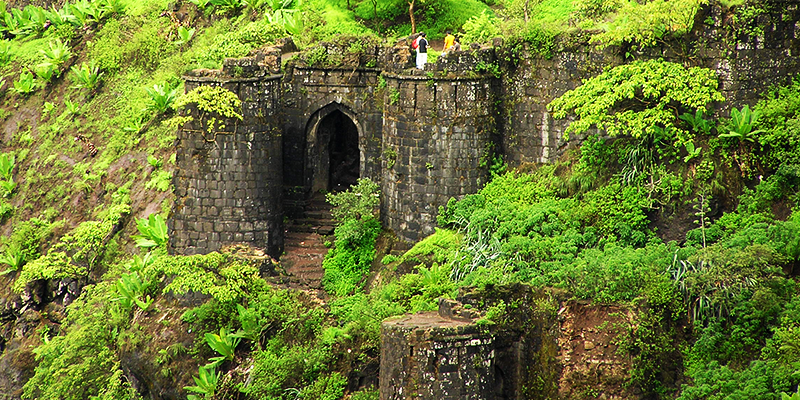 The fort is located at Tikona Peth, Kamshet, which is about 60 KM away from Pune, towards Lonavala. The fort stands majestically at a height of 3500 ft and offers breathtaking landscape views all around, including the forts of Tung, Lohagad and Visapur. The trek up this fort is a treat for newbie trekkers. There are two routes to reach the fort – one is shorter and slightly difficult to climb. The other track is easier, but time consuming. Raireshwar Fort is a hill fort of great historical importance, as this was the place where Shivaji took his oath of Swarajya. Located at near Korel village, in Bhor taluka, it is situated 1340 M above sea level. During monsoons the entire pathway blooms up with a variety of flowers, reminding trekkers about the bounties of nature. Follow the electric poles and one cannot get lost, as these run parallel to the pathway. Food, water and accommodation are available here. 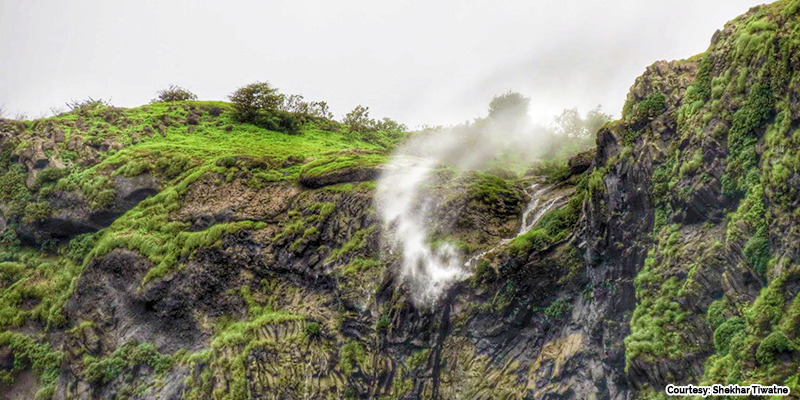 Another major attraction here during the monsoons is the reverse waterfalls which should not be missed. Located in Ahmednagar district, Sandhan valley is an interesting place to explore. This is a combination of a canyon and valley. 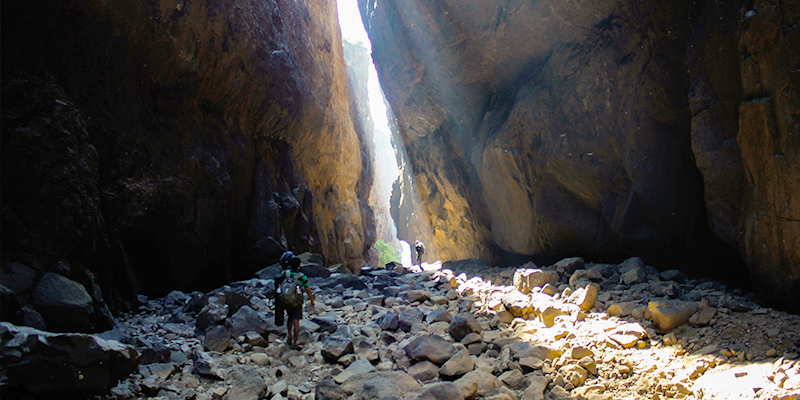 Popularly known as the ‘Valley of Suspense’, this trek is definitely not for first timers and the faint hearted. Walking past the narrow valley with 300 ft walls on either side is definitely an experience of a lifetime. The descent and an overnight stay under the open sky with twinkling stars for company will make you speechless. The best time to visit the valley is during the winters and the early summers. Trek to the Gorakhgad Peak is not just a trek, but an experience and all the fun and magic doubles up during the monsoons. The myriad shades of green, hidden caves and spouting waterfalls are pure bliss. 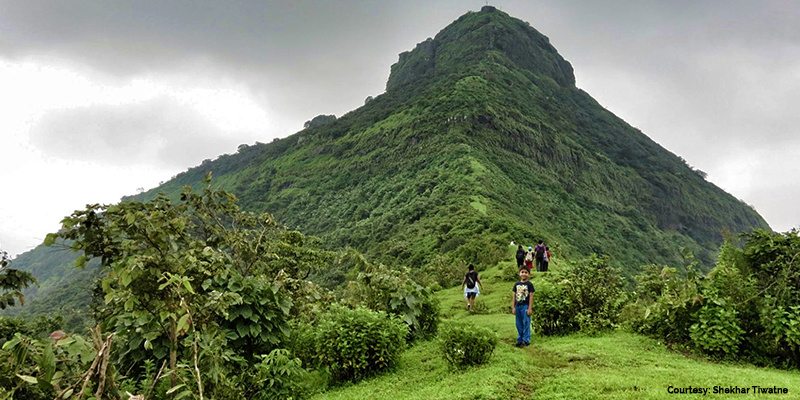 The trail takes you towards the twin peaks of Gorakhgad and Macchindragad. The route resembles a spiral staircase and also has caves that will take you on a journey through the history of the area, among natural beauties. Irrespective of weather the trek is an easy or a difficult one, it is important that trekkers work on their fitness, endurance and flexibility. Treks can be better enjoyed when fitness and the joy of indulging in the goodness of nature coincide.